If you are ready to live your life pain-free, start your recovery today! There is no waiting with an appointment and we offer a special reduced-fee schedule for patients without insurance. Why Visit Richmond Physical Therapy in Staten Island, NY ? Richmond Physical Therapy in Staten Island, NY, is focused on providing high-quality service and customer satisfaction. We will do everything we can to meet your expectations. Our physical therapists are experienced and dedicated toward patient care. GETTING YOU THE RESULTS YOU WANT! most effective Physical Therapy techniques. Physical therapy can provide the answers to help you with many different balance and gait disorders. 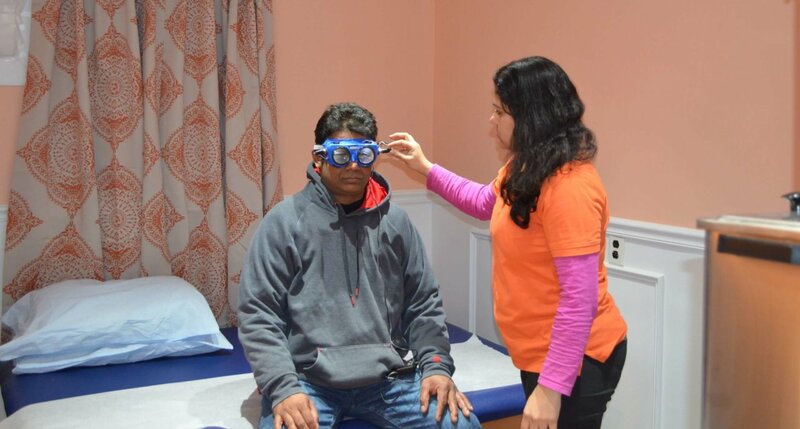 Vestibular Rehabilitation therapy is a specialized form of therapy intended to alleviate both the primary and secondary problems caused by vestibular disorders. Kinesio taping can enhance blood circulation at targeted areas, thereby reducing pain and improving recovery time following an injury. Really nice office and staff. Dr Mona is a very dedicated and talented PT. She helped me get back into perfect shape after a really bad injury. Thank you so much! Dr Mona has helped me with my tmj and jaw muscle spasms and now I am pain free!! I highly recommend Richmond PT. The entire staff cares for their patients like no other and are very skilled at what they do. Staff was friendly. The doctor herself was so sweet and really listened to what was going on with me. I felt 10 times better after leaving her office. I was seen right away and the treatment was very effective, I will be back in the future! Is your pain making it difficult for you to do what you WANT to do? If you answered “yes”, call us and make an appointment to see one of our Johnston physical therapists. Our therapists start with an in-depth evaluation to determine the source of your pain and limitations. From there, we will develop an individualized plan of care to relieve the pain and determine ways to prevent future injuries from occurring. Then we will work with you one on one to get you back to the things you want to do! Your solution to pain relief is just a click away!